A report out of Korea has suggested that the Samsung Galaxy Note 10 could end up being a button-less phablet. It appears the South Korean manufacturer has been considering a partnership with a Chinese company called NDT that specializes in “force touch solutions”, so the eagerly anticipated flagship might come with a pressure-sensitive display or frame. The rumors about the Galaxy Note 10 are slowly starting to increase, and the latest one is quite a surprise. But if it is true, then Samsung owners can finally wave goodbye to the much-derided Bixby button, regardless of its new remapping capabilities. A report from ET News states that industry sources believe the upcoming phablet will be keyless, and it will incorporate some form of touch or gesture control system. There have been other attempts at removing buttons from smartphones: Vivo’s Apex 2019 coped without buttons and ports. 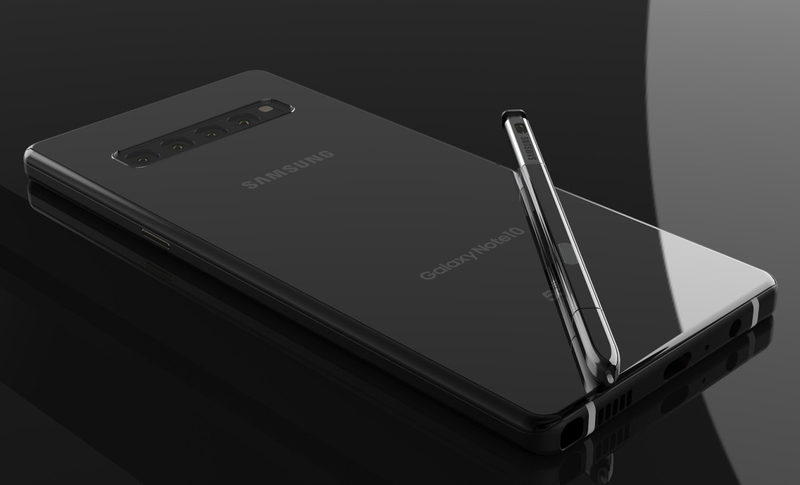 But the Galaxy Note 10 (actual name still not confirmed) won’t be treated as a concept device just to show off new technology or design ideas. It’s an upcoming product that will be aimed at the consumer market – so whatever user interface it eventually implements needs to function seamlessly. According to the report, NDT (Shenzhen New Degree Technology) is one of the firms being considered by Samsung to assist with creating a pressure-sensitive input system, whether that’s through the main display or the Galaxy Note 10’s frame. NDT claims to be a leading supplier of force touch solutions, so if the ET News article is accurate, then it looks like yet another novel technology is coming the Note 10’s way.